Looks Good from the Back: Jumanji! M: I got my first ever pedicure today! On an extremely long lunch break, haha. A: Awesome, where did you go? M: A lovely place called Sunshine Nails. I liked it! A: Good! Did they have massage chairs? M: Yesssss. I had no idea. A: Those are the best but they will violate you. M: Oh yeah. I had to squeeze out of it a few times. A: You are totally going to show this to Corey. M: Also, I read this Cosmo confession while my toes dried.. it was kinda funny in my head, but when I tried to read it out loud to my friend I CRIED laughing for some reason. M: So of course I took a pic. Even though it's not all that hilarious... I'm so lame. M: That's EXACTLY what I said! 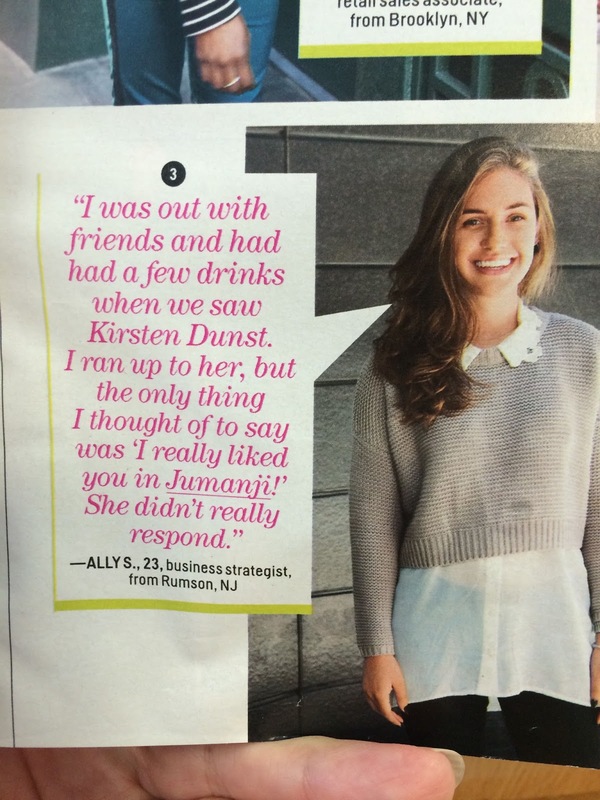 A: I’M DRUNK KIRSTEN AND I LURVE YOU IN THAT MONKEY MOVIE. M: WHAT'S ROBIN WILLIAMS LIKE. A: I BET HE SMELLS BAD. M: "She didn't really respond." HA. A: I can’t imagine why. Now, see, I would've gone with Small Soldiers. I laughed out loud but I think it's because I could have imagined the entire exchange happening between me and my sister.